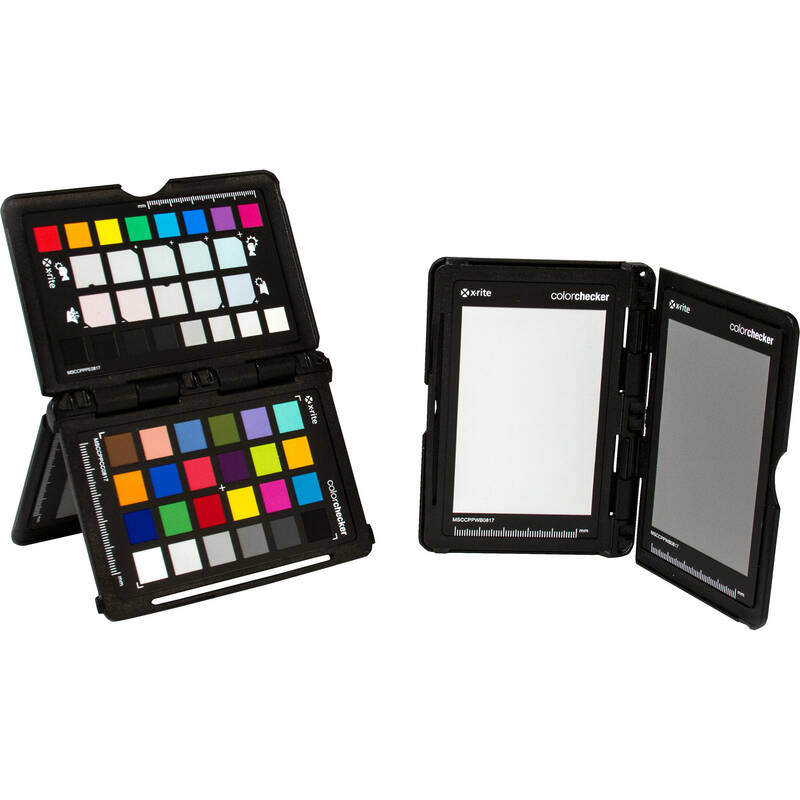 Helping to achieve accurate color and exposure in an especially compact package, the ColorChecker Passport Photo 2 from X-Rite is a portable and versatile solution to ensure rendering accuracy from the time of capture. Combining four separate targets in a pocket-sized enclosure, the Passport Photo 2 is also characterized by the updated, v1.2 Camera Calibration software for making DNG and ICC camera profiles as well as a dedicated Adobe Photoshop Lightroom plug-in for making custom post-production profiles. An 18% middle gray target has been added to the Passport's design, and this neutral de facto standard target is perfect for ensuring accurate exposures when using reflective light meters as well as for removing unwanted color casts during post production. Designed to be spectrally neutral and reflect light evenly across the visible spectrum, this white target serves as a neutral reference point to accurately compensate for different lighting conditions. Compared to other seemingly plain, white objects, the spectral response of this target ensures greater accuracy and consistency for creating white balance settings while shooting. A compact version of the industry standard ColorChecker Classic target, this 24-patch grid is used to ensure accurate color rendering from capture to post-production. It is used in conjunction with calibration software to create custom profiles and allows you to compare camera response to various lighting conditions. The 24 patches represent common colors of natural objects, including sky blue, skin tones, and green foliage, and each patch has been individually colored to produce a solid tone of pure, flat, and rich color with natural reflectivity. In addition to Color Calibration v1.2 software, this target is also supported by Hasselblad Phocus, Black Magic DaVinci Resolve, and 3D LUT Creator software. Designed for creative color applications, this target includes four rows of color patches for adding repeatable color effects in post-production by selecting the patch with an eyedropper tool. There are two rows of warming and cooling patches in the middle of the target for adding consistent color tone effects to images. The bottom row consists of clipping patches for making black and white point adjustments, and these patches are separated into light and dark groups with 1/3-stop differences between them, with the exception of the last patch which has a 1/10-stop difference, and results in a 32:1 or 5-stop total dynamic range. The top row includes eight hue, saturation, and lightness spectrum patches for ensuring color accuracy across all hues to better asses and edit for unwanted color shift. Updated to version 1.2, the available Color Calibration software works in conjunction with the Passport Photo 2 to help create custom color profiles and achieve accurate colors during post-production. This revised version offers the ability to create both DNG and ICC camera profiles using the ColorChecker Classic target. The software automatically recognizes the target for straightforward use and, after creating color profiles for different lighting conditions, this process helps to minimize color differences between shoots, better adapt for mixed lighting conditions, and match color balance from scene to scene. For even greater flexibility, dual-illuminant DNG profiles can be created, which combine images taken under two different light sources in order to create a single profile that can be applied to an even wider variety of lighting conditions. These profiles can be created using any two of 21 supported illuminants in order to offer greater freedom to shoot between various lighting conditions without having to switch profiles. Additionally, beyond the dedicated Color Calibration software, an Adobe Photoshop Lightroom plug-in is also available for creating custom camera profiles directly in Lightroom Classic and Lightroom Classic CC. One of the distinguishing features of the Passport Photo 2 is, of course, its pocketable passport-style case. Compared to other oversized targets, which tend to be fragile or susceptible to damage, the compact form factor of the Passport along with the hard-plastic and travel-sized case, makes it easy to carry at all times. The case is also self-standing for propping up the targets in the scene. Additionally, a lanyard is included to keep the targets handy while on a shoot. Box Dimensions (LxWxH) 7.3 x 5.35 x 0.8"
What is new about this Passport 2? I have Passport 1 but it exactly identical to my passport. Besides the updated software, what is actually &quot;new&quot; about the colorchecker passport photo 2, as compared to the current &quot;1&quot; version? It appears this &quot;new&quot; version also includes an 18% middle gray target. The previous version only had the white balance target if I am not mistaken.